For only 6 British Pounds, you can cure what ails you with Placebo maximum strength sugar pills. And, before you ask, yes ... there really is some evidence that placebos work even if the people taking them already know that the drug is a placebo. Back in 2010, a study of ethical placebos used with irritable bowel patients got a lot of press. It was a follow up to a 2008 study that found roughly the same results. 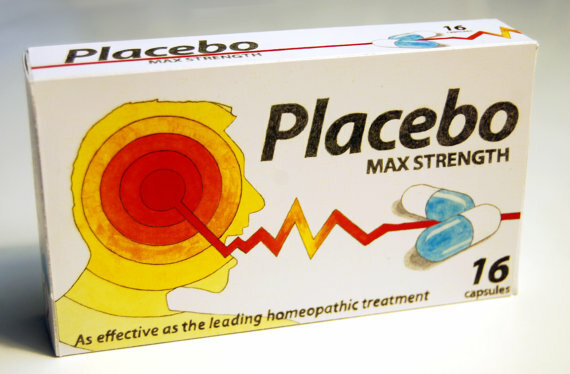 Or, perhaps, you might like to purchase some Placebo maximum strength.